Anushka Sharma and Shah Rukh Khan are traveling places to promote their upcoming film Jab Harry Met Sejal. The actors were in Delhi for a promotional event and were accompanied by Imtiaz Ali. Anushka Sharma appeared in a trendy outfit with a coat style long outfit over a checked top. Shah Rukh made heads turn just by his killer smile and wore a brown t-shirt and a black jacket and blue cargo pants. 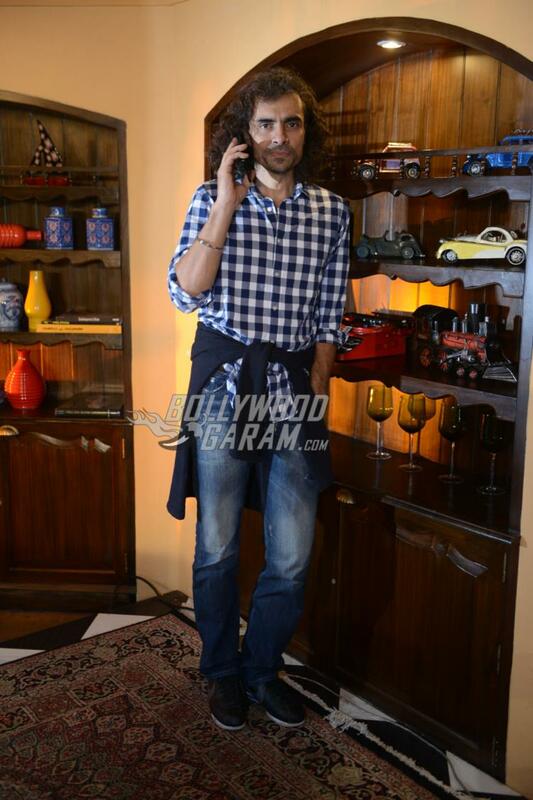 Meanwhile, dashing director Imtiaz Ali too looked great in a checked shirt and a pair of denims. This will be the third time Shah Rukh Khan and Anushka Sharma will be seen sharing the screen space. Shah Rukh is back to his forte of a lover boy while Anushka will be seen playing the role of a Gujrati girl, Sejal Zaveri. Going by the trailers, it is surely going to be hilarious to see Anushka talk in a Gujarati accent!Jab Harry Met Sejal releases on August 4, 2017. Previous articlePHOTOS - Bollywood celebrities dazzle at Vogue Beauty Awards 2017 red carpet!